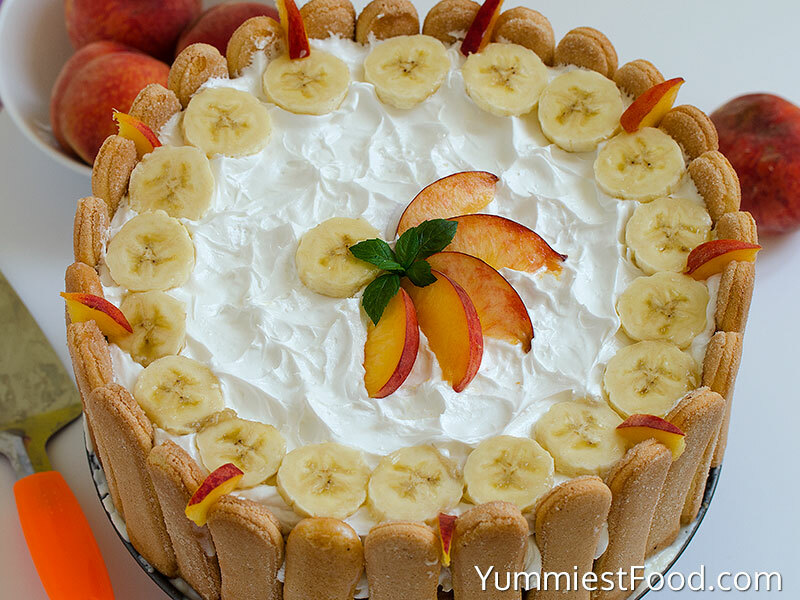 Banana Peach Ice Box Cake – no bake, delicious, refreshing and perfect for summer days! 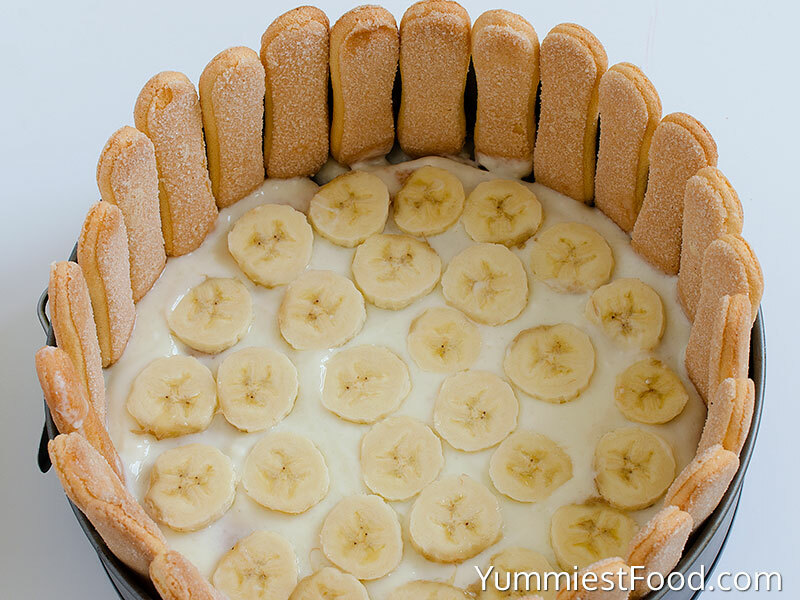 Banana Peach Ice Box Cake is so easy to make and I am sure you will love it! 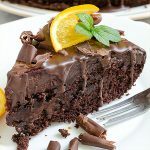 So moist and full of flavors, this cake is right choice for you! 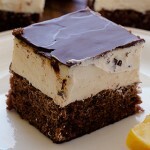 I like no bake cakes, especially in these warm days when we want something quick, nice and refreshing. 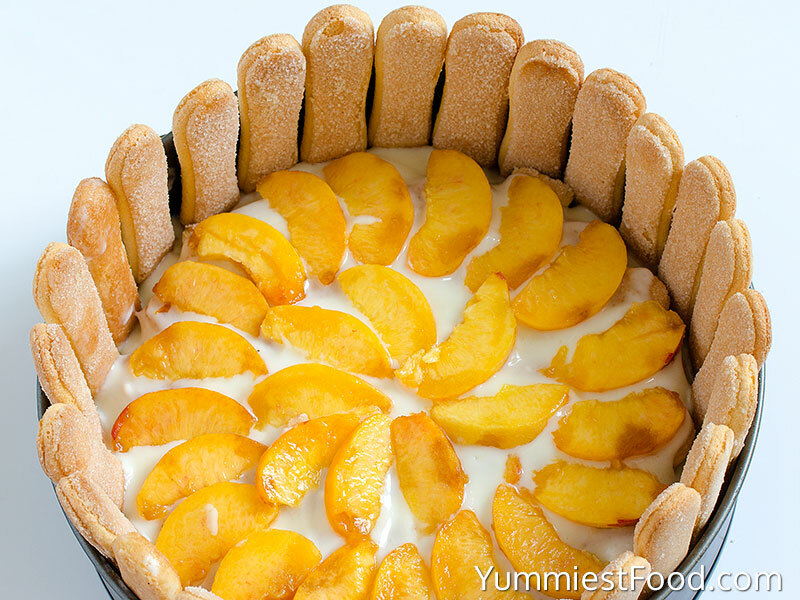 I think that this Banana Peach Ice Box cake is the easiest one you have ever made. Very nice, soft, creamy, light and refreshing you can make many different combinations with your favorite fruits. My choices for today are bananas and peaches. Banana give us rich flavor and peach nice smell. My family likes the most this Banana Peach Ice Box Cake. This cake is huge, creamy, and you can cut it easily. Very easy, refreshing, not too sweet, so you must give it a try to make it in this summer days. 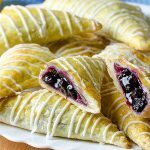 I know that there are many similar recipes out there, but if you like banana-peach combination you must try. I make this cake second time this week. The first time I made this Banana Peach Ice Box Cake I thought it will be enough, but we eat it in a very short time. The second time I made it this week was when my friends came. 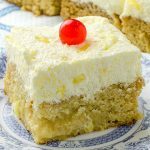 With few ingredients and in a short time you get very tasty, creamy and refreshing Banana Peach Ice Box Cake. I like to make surprises for my family and friends, so I know that the best surprise is good food or peace of delicious cake. 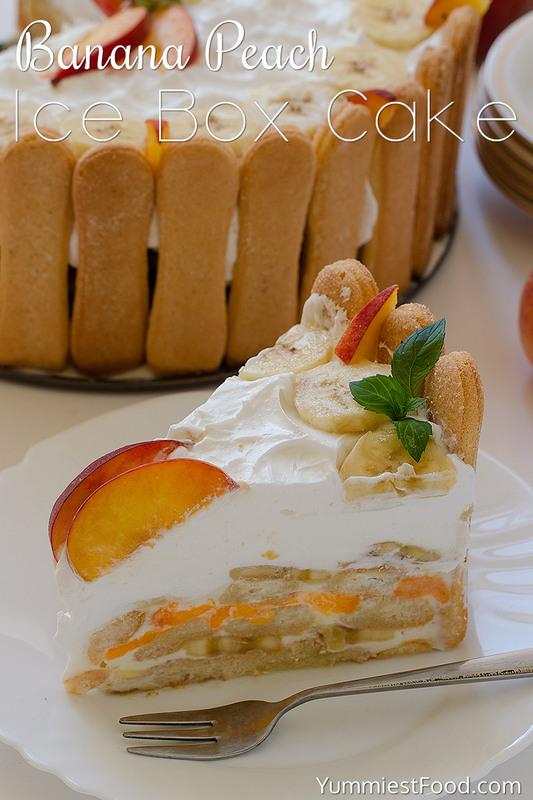 When we are talking about decoration, you can decorate this Banana Peach Ice Box Cake if desired. I usually put some of ingredients, in this case banana or peach. If you make this cake for birthday you can put some candies and it will look great. 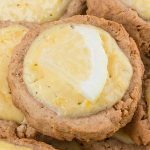 I am pretty sure that these refreshing cakes are your choice too for this summer days. Your children will love this cake, I know. Fruit cakes, especially these with fresh fruits are my favorite one and they are perfect for warm days because they are very light and refreshing. 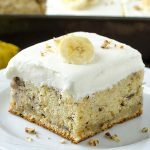 Even when you don’t have much time and you want to eat something delicious and refreshing this Banana Peach Ice Box Cake is right choice. Enjoy! Banana Peach Ice Box Cake - no bake, delicious, refreshing and perfect for summer days! 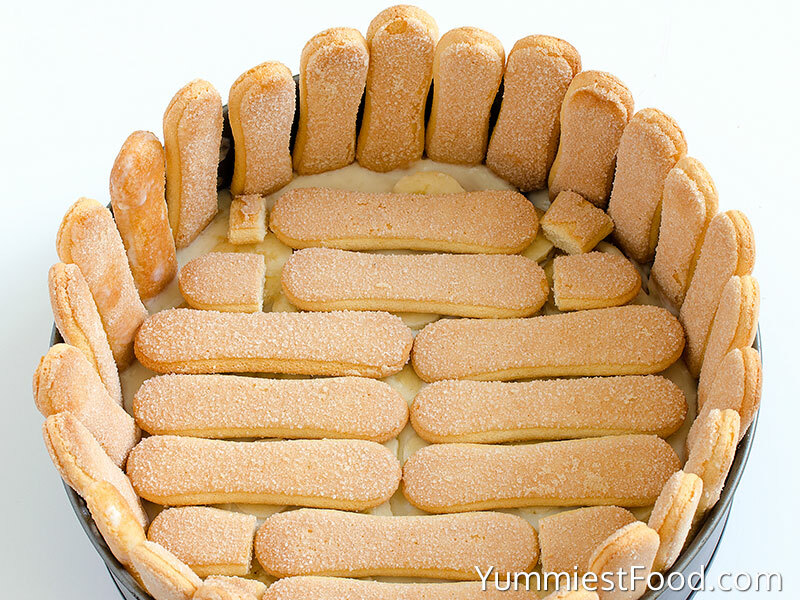 Banana Peach Ice Box Cake is so easy to make and I am sure you will love it! 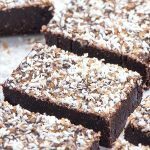 So moist and full of flavors, this cake is right choice for you! Use an 8 inch springform pan. 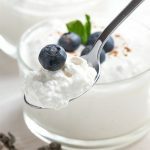 With a hand mixer or in the bowl of a stand mixer, whip 4 cups of heavy cream until it just holds stiff peaks. Add the powdered sugar, vanilla, and whip to combine. Refrigerate for at least four hours, or until the lady fingers have softened completely. Serve chilled.